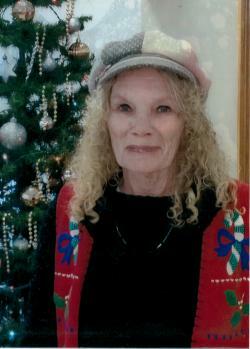 The death of Ernestine Ann “Christine” Giberson of Woodstock occurred on Saturday, February 9, 2019 at the Upper River Valley Hospital, Waterville. Born April 4, 1943 in Florenceville she was the daughter of the late Ernest and Glenna (Smith) Brymer. She was also predeceased by her husband, Harry McLean; 1 sister, Janet Smith (Clarence) and 1 nephew, Kevin Smith. Christine is survived by her children; Clarence Giberson, Christopher McLean (Tracey), Lynn Giberson and Audra Giberson (Jason); 6 grandchildren, Kevin Giberson, Brian Giberson, Eddie Giberson, Jenny Giberson (Lewis), Amanda Giberson and Arizona Snow; 6 great grandchildren, Everleigh, Morgan, Elliott, Paisley, Lillianah and Leveah; 2 siblings, Ronnie Brymer (Thelma) and Calvin Brymer (Kelley); 5 nephews, Ryan Brymer (Marlene), Kyle Brymer (Kirstie), Rick Smith (Leonette), Danny Smith (Lorie) and Linda Smith (JP).